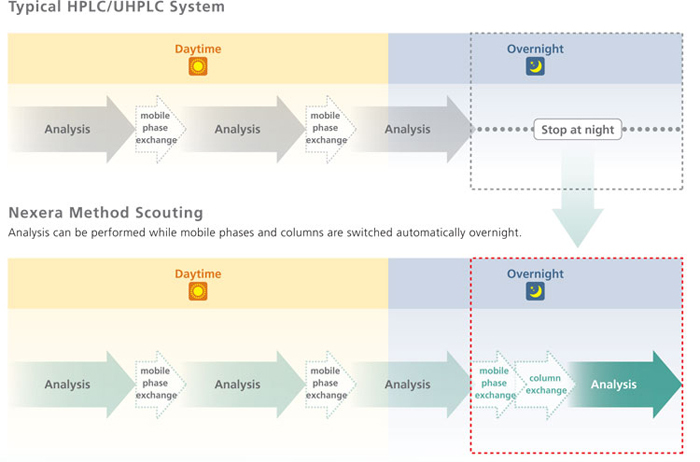 In a typical method scouting procedure, data is collected using a number of mobile phase and column combinations. Analyzers switching manually between these combinations are limited by the number of work hours in a single day, making it impossible to perform method scouting efficiently. The Nexera Method Scouting System is　capable of automatically investigating up to 96 combinations of mobile phases and columns, without such time restrictions, thereby significantly improving method development productivity. If the transfer program is used, the ultra-high speed conditions obtained with the Nexera Method Scouting System can be easily transferred to conventional conditions. Furthermore, this software can be used to investigate the robustness of methods under conventional conditions. 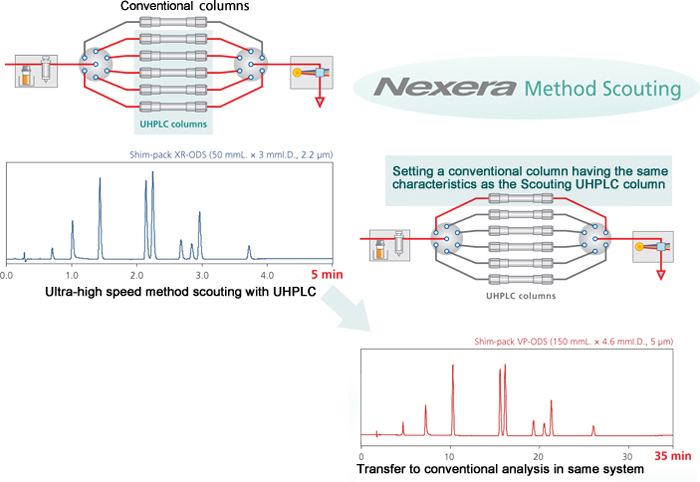 The Nexera Method Scouting System is an all-round LC that enables the collection of ultra-high speed data and conventional data using a single system.